Dr John Hinds, one of the so-called “flying doctors” of Irish road racing, has been killed at a motorcycle event in the Republic of Ireland. He was involved in an accident while providing medical cover at a Skerries 100 practice session, the Motorcycle Union of Ireland said. Dr Hinds, from Tandragee, was a consultant at Craigavon Hospital Area Hospital in County Armagh. He regularly worked at the North West 200 motorbike races in County Antrim. Dr Hinds, who lectured in trauma science, was taken to Beaumont Hospital in Dublin, where he died on Saturday. 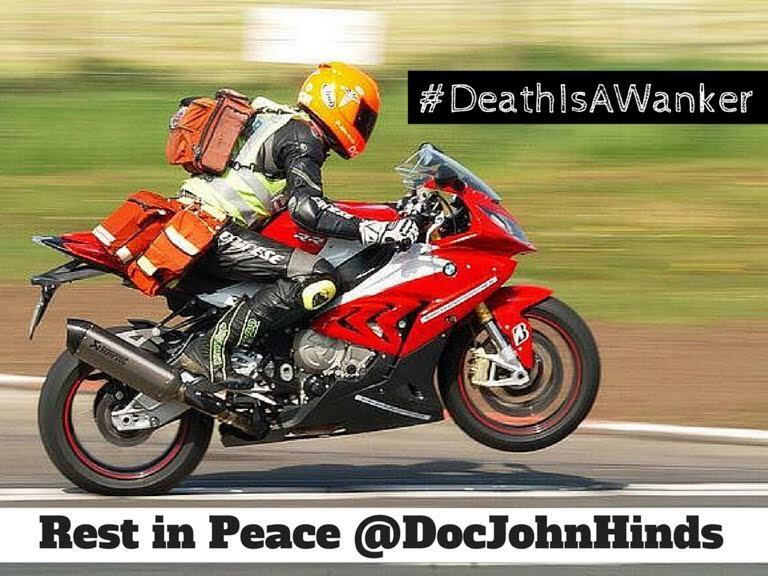 Dr Hinds attained near legendary status among race fans Dr John Hinds and his colleague Dr Fred McSorley, known as the “flying doctors”, have long enjoyed near legendary status among race fans. The pair would follow racers, travelling very nearly as fast as many of them on their own high-powered bikes. When riders crashed, invariably Dr Hinds would be there in seconds.